PRESCOTT VALLEY – Life in the G League can feel as if it is the farthest thing from professional basketball. Teams play in small gyms in front of sparse crowds in cities without international airports. The NBA’s official minor league has a Middle America, small-town feel far away from the NBA and its mega stadiums. 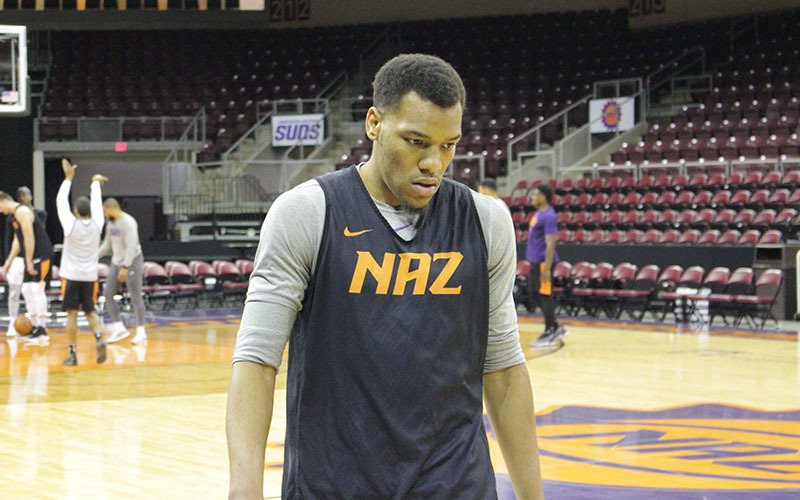 For a former four-year collegiate player like George King, a former Colorado standout who now plays forward for the Northern Arizona Suns, playing in a small town like Prescott Valley can be ideal. 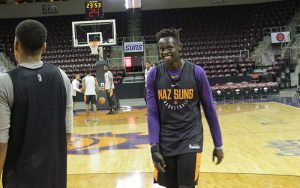 Players like King, who was a late second-round draft pick of the parent Suns last summer, often are signed to two-way contracts that were introduced last season. The contracts expanded NBA rosters to 17 players and allowed teams to stash two players with their G League affiliate, where they can get valuable playing time and develop their games. King and former Oklahoma State point guard Jawun Evans fill this role for the Suns. 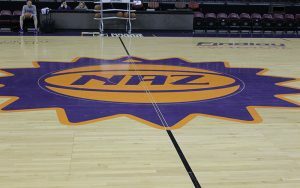 Because they’re always on call with the Phoenix Suns, they have learned how to always be ready should they be needed for practice or a game.